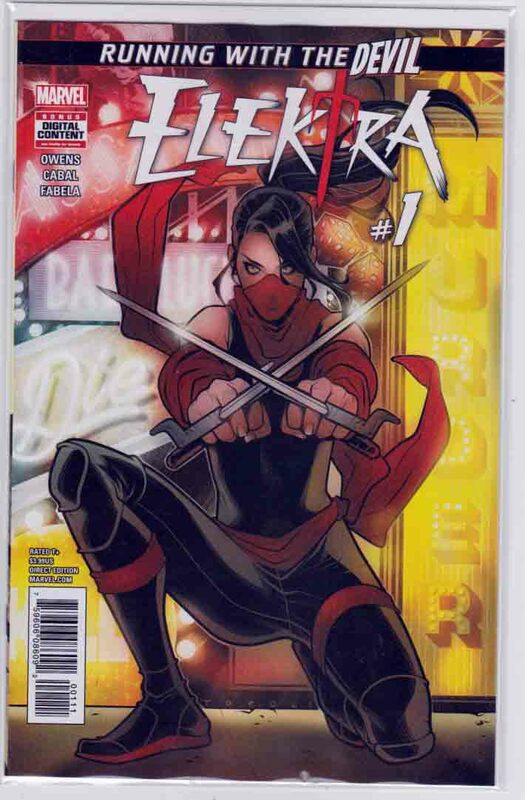 Elektra #1 (2017) Elizabeth Torque Cover, Matt Owens Story, Alec Morgan Pencils CASINO BATTLE ROYALE! Running from her tumultuous past, ELEKTRA attempts to lose herself in a vibrant sea of neon, noise and anonymity: LAS VEGAS. But how long can a former ninja assassin really hope to escape the vortex of violence that encompasses her life... especially when there's a new player in Sin City that has her in his sights for his newest game? Enter: Arcade.